When you don’t need a whole shelf, just space for a few important books, mark a spot with the Scroll Bookshelf. 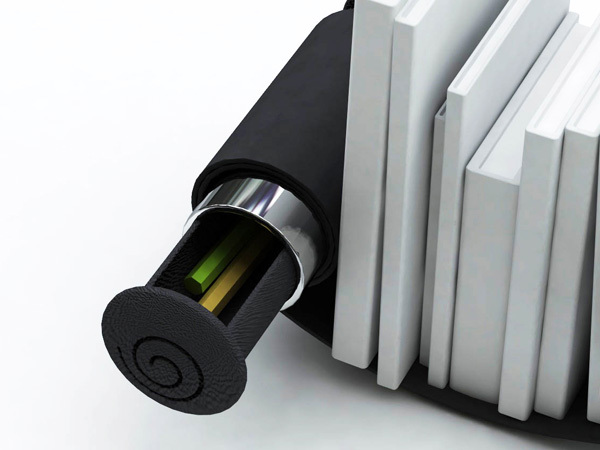 The Scroll Bookshelf is an ingenious idea for creating an instant bookshelf in small spaces. 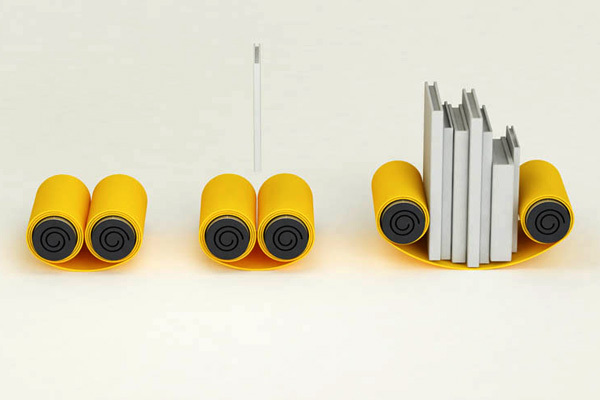 The designers call it a ‘bookshelf’ but it might also be considered a neat and modern book-end-kind-of-thing. Basically, two study end-rolls are held together by a curled, tensioned metal sheet overlaid in coloured plastic. Unroll the sheet to accommodate your expanding library and vice versa. 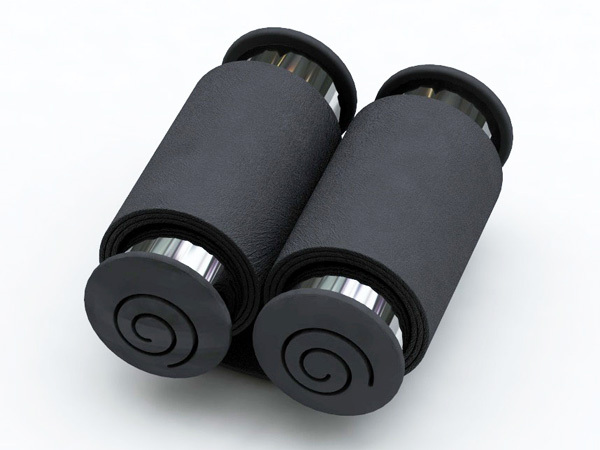 Note the nice touch – secret chambers to hold treasures in the end rolls. The Scroll Bookshelf is a concept piece at this stage and not available to buy.